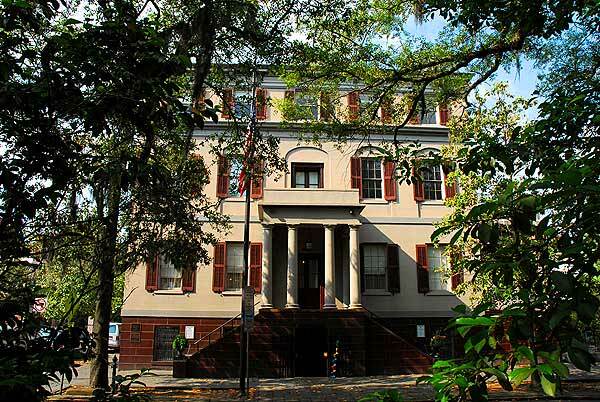 Savannah has the largest urban landmark historic district in the country, so it’s no surprise it is known for its many lovely, historic homes. It’s impossible to remain impervious to the architectural charm of this city. A morning stroll down Broughton Street or to one of Savannah’s historic squares brings you past dozens of beautifully maintained, historic homes, like our very own Savannah Vacation Homes. The more you see, the more you want to see. Each spring, many private homes open their doors to the public during the Annual Savannah Tour of Homes and Gardens. Some of these homes have been in the same families for generations, and are full of wonderful antiques. It’s never too early to make plans to attend the Savannah Tour of Homes and Gardens, which will next occur March 21-24, 2013. Davenport House. Isaiah Davenport was a master builder, and the home he built for his family is a beautiful example of 1820s Federal-style architecture. This home was also the first building saved by the Historic Savannah Foundation. Learn all about it, and more. Juliette Gordon Low House. Birthplace to Juliette Gordon Low, this classic “Savannah box” is a style of home built throughout the city from the 1780s through the 1870s. This house is admired by architecture buffs for its style and by history buffs for its links to Juliette Gordon Low, the woman who brought the Girl Scouts to America. Mercer Williams House Museum. New York architect John S. Norris designed this house for General Hugh W. Mercer. Construction was delayed by the Civil War and completed around 1868. The Mercer house was restored by Jim Williams, and today it is the primary residence of his sister, Dr. Kingery. Parts of the house are open to the public, and they are well worth visiting. Owens-Thomas House. Considered by many architectural historians to be one of the best examples of English Regency architecture in the United States, the Owens-Thomas House is now a historic house museum. Visitors will admire the building as much as the American and European objects it houses, which date from 1750-1830. 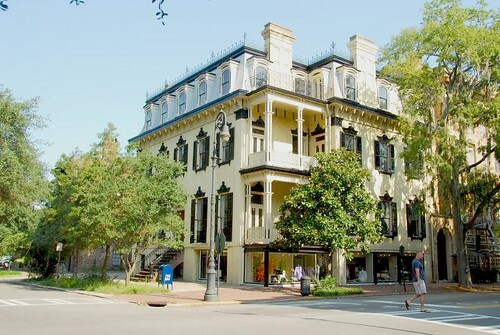 All of our Savannah Vacation Homes are restored historic homes. Stay in one while you visit others, and immerse yourself in the history and architecture of this beautiful city.